Michael Mountain Horse is the illegitimate half-Indian great-great-grandson of David Thompson, a man who mapped western Canada. He teaches history at a high school when one of his students is in a car accident and goes into a coma. Michael visits him at the hospital and tells him what he is missing out on in class. This turns out to become the family history of Michael, going from David Thompson in Wales, all over Canada and Michael’s own experiences in World War I and the Spanish civil war. 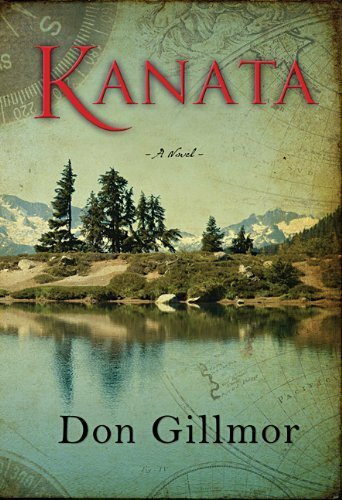 This is a great book spanning over many centuries and the history of Canada. I really enjoyed Michael’s own story, but felt that the story of David Thompson lacked some personality and was mainly describing his adventure. I really enjoyed the 1900s, and especially the narrative of Mackenzie King, the Prime Minister of Canada in this period who consulted mediums and admired the German nation-building prior to World War II.